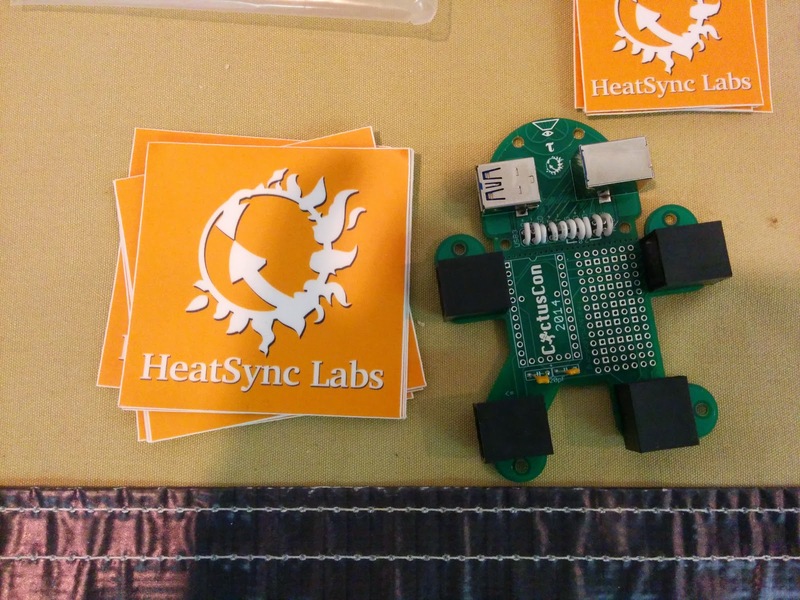 Yesterday I helped out at CactusCon hosting the HeatSync Labs soldering booth. 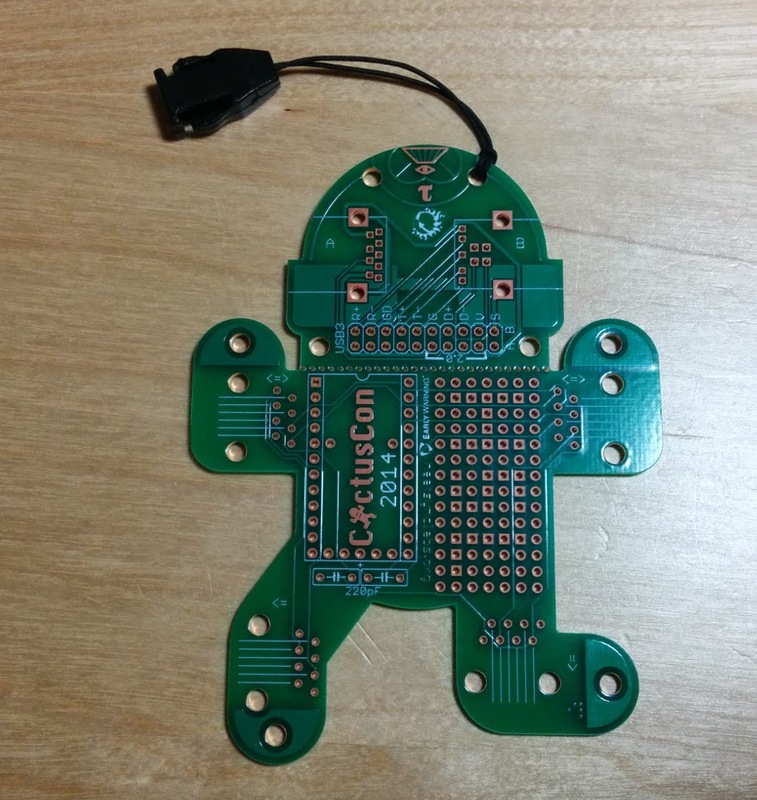 There were 300 of these PCB badges to give away. CactusCon is a local Security Conference for security professionals or anyone just interested security. The badge designed by Erik Wilson features arms and legs that function as LAN Tap. The head is a USB 3.0 breakout. 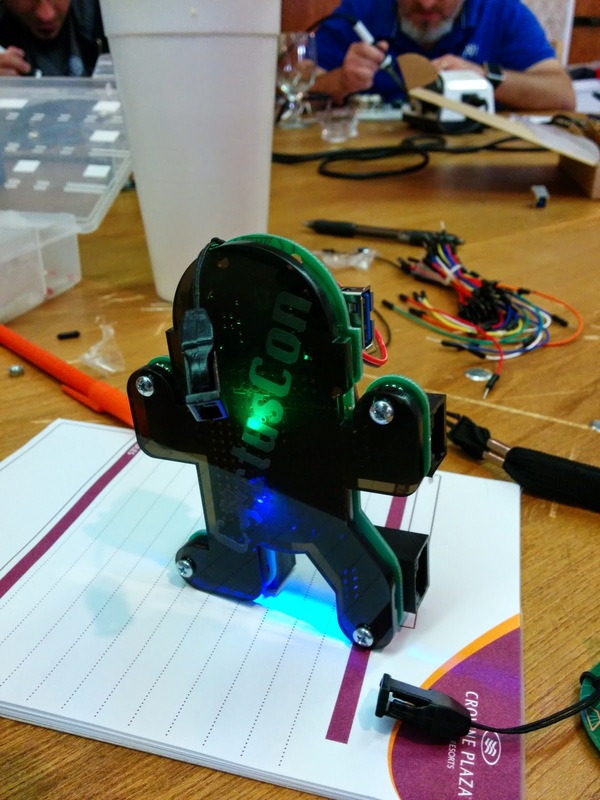 Over CactusCon you can fit a Teensy micro-controller with room next to it to add your own components. Here's the badge with basic parts plus some extra neck support wires. A finished badge with acrylic and LEDs looking classy. We had plenty of people who knew how to solder. We had a few that were new to soldering. It was a great time.